Myoho-Renge-Kyo is the Buddha nature all living beings possess. The Buddha nature is the Dharma nature. And the Dharma nature is enlightenment….Thus, if you chant this title of Myoho-Renge-Kyo once, the Buddha nature of all living beings will be called and gather around you. The three enlightened properties of the Law, wisdom, and compassionate action of the Dharma nature within you will be drawn forth and then clearly emerge. This is described as attaining Buddhahood. 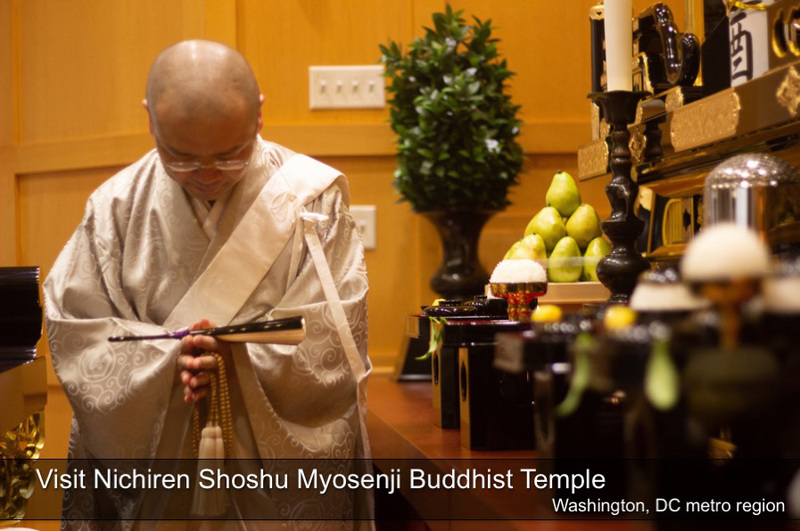 Visit Myosenji Temple Sunday, April 28th, to learn how to activate your Buddha nature and become truly happy. 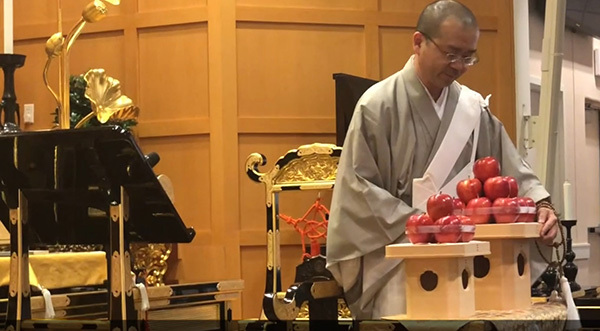 Chief Priest Rev Sakabe will share a short video on Buddhism’s Beliefs and lecture briefly on what peace and tranquility means in Buddhism. 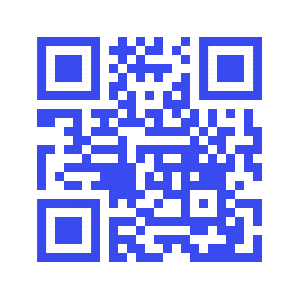 Excerpt: Guidance from High Priest Nichinyo Shonin, July, 2012. The attainment of Buddhahood or enlightenment begins with one’s daily behavior. By enhancing one’s life-condition, one can accumulate good fortune and benefit. Shakyamuni Buddha revealed in the Lotus Sutra the one fundamental precept by which people must abide. He taught that embracing only the Lotus Sutra encompasses all the precepts from the provisional teachings. Once one obtains the mystic precept through Buddhist practice, it will eventually lead to enlightenment. The precept of Nichiren Shoshu Buddhism is called the “precept of the diamond chalice.” The Great Teacher Dengyo (8th century, Japan) interprets the true entity of all phenomena expounded in the Lotus Sutra as the diamond chalice, which is impossible to break. 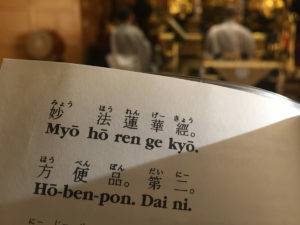 By embracing the Gohonzon (object of worship), we observe this single precept, thus, manifesting the three properties of the Buddha within ourselves and receiving the benefits of observing all other precepts. 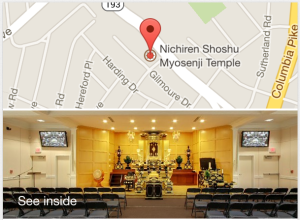 Excerpted: Nichiren Shoshu Ceremonies, pages 62-66.